Our new glass box pendant light is the perfect feature piece for any large space. 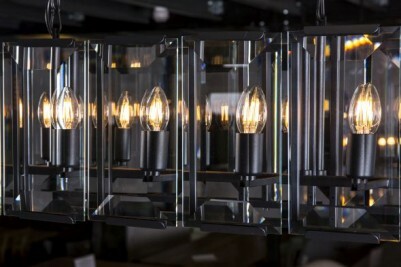 Bevelled glass panels surround 14 bulb fittings, making this ceiling light a fantastic feature for any home or business. 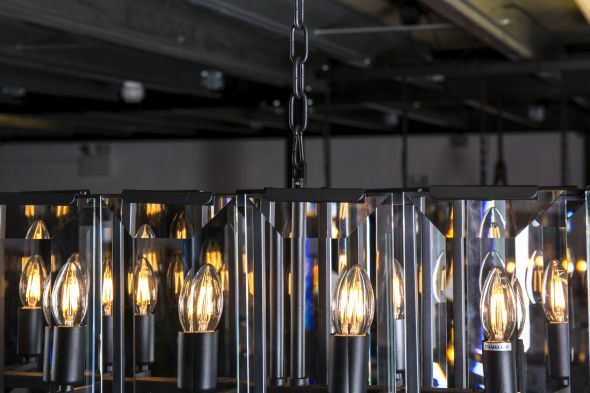 The light is suspended from two chains, each with a ceiling rose. 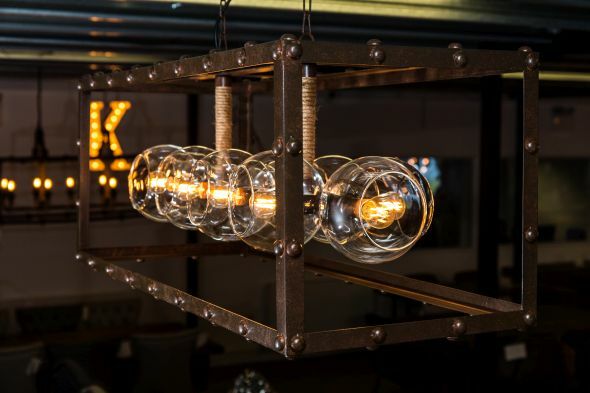 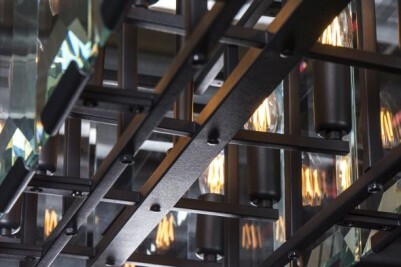 Hang this stunning light in a large hallway, industrial style retail property, hotel lobby, or over a bar/dining table in a modern restaurant. The bevelled glass panels help to reflect the light, which adds further to the appearance of this fitting. 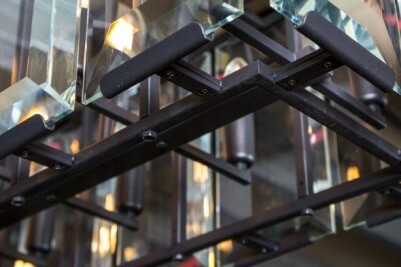 The elegant glass paired with the dark, metal fixtures makes this light ideal for both contemporary and industrial inspired interiors. 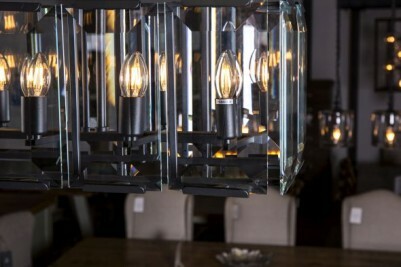 If you like this style, please check out the rest of our lighting collection. 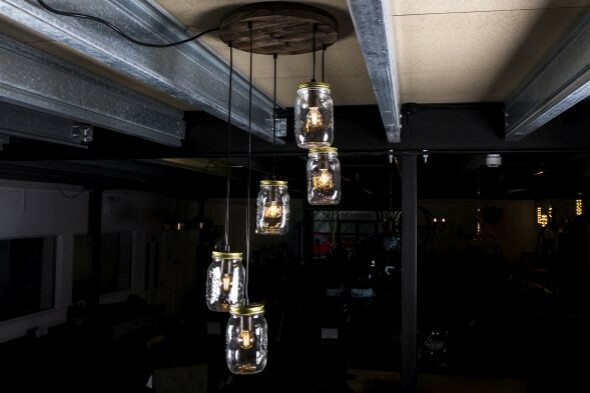 Please note that the bulbs are not included. 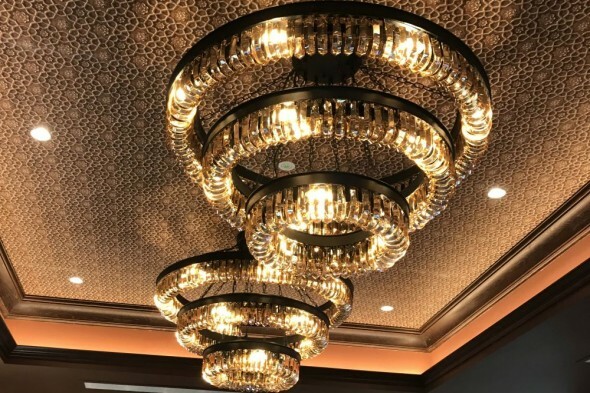 There is a small amount of assembly required with this light, and we recommend that you seek the help of an electrician when installing the fixture. 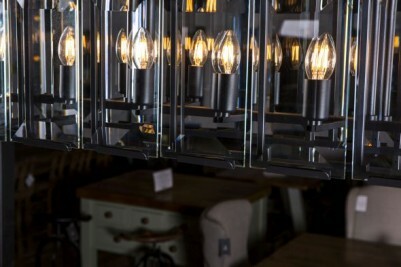 As this light is fragile, it must be delivered via courier. 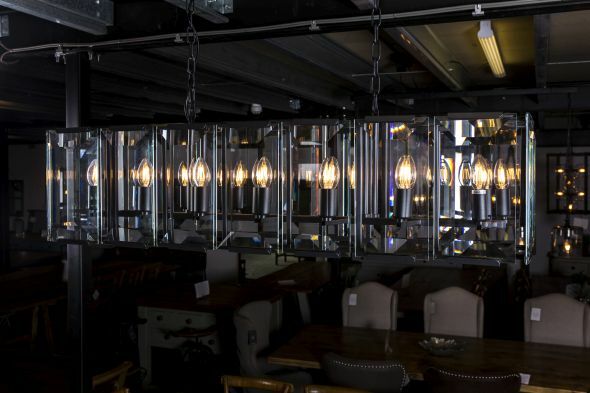 You are also welcome to collect from our showroom.